D’Bone Museum curator Darrel Blatchley said he was frustrated over accusations of some officials for questioning the time and date of his posts. 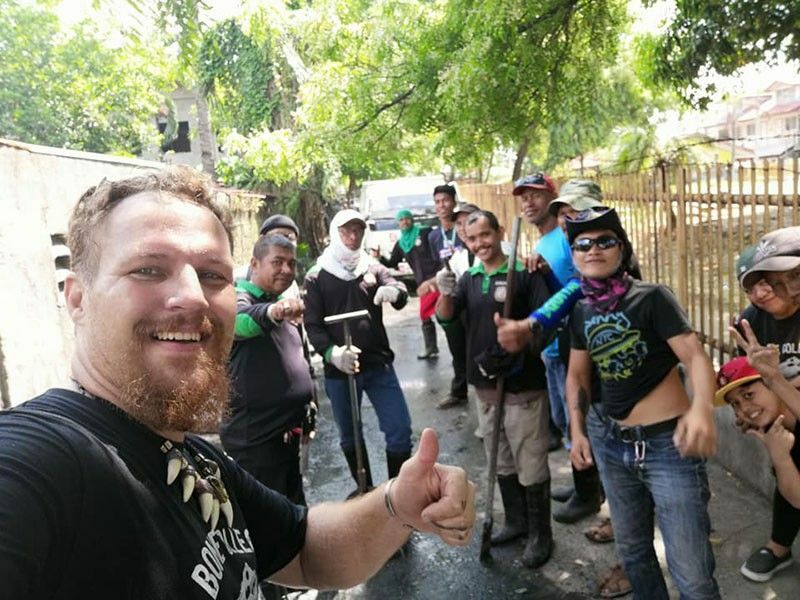 He said on Saturday, April 13, he conducted both the cleanup drive and posting on Wednesday. “There were media at the (D’Bone) museum that day who documented me taking the picture,” Blatchley said in a phone interview. In a previous report, City Environment and Natural Resources Office (Cenro) officer-in-charge Marivic Reyes and Barangay 37-D chief Prime Atillo both praised and questioned Blatchley’s post, saying that he might have conducted the cleanup previously but only posted it last Wednesday. Blatchley is in fact calling for a public apology and resignation from both officials. “You publicly questioned my honesty in my posted images, concerning the canal in Brgy 37-D. You basically called me a liar. You then went on to claim I did it to defame Bucana,” he said. Blatchley sent SunStar Davao screenshots of the photo he posted on his Facebook account, indicating the time and date it was taken and its camera setting. The environmental advocate, who has been residing in Bucana for seven years, also said the barangay officials in the area are not doing their job. “You are not fit to be a public servant. You lack maturity and discipline. Your barangay is plagued with illegal vendors, drugs, and garbage. How can you say CCTV (closed-circuit television cameras) will fix it when you don’t even take action?” Blatchley said. He also criticized the Cenro officials for not sanctioning erring barangay officials that do not implement the Solid Waste Management law. Blatchley, who became a 2015 Datu Bago Awardee, said he is not afraid to be deported because of his statements. He then asked Mayor Sara Duterte-Carpio to take action on the officials. “I will continue my cleanup challenge until Bucana will be cleaned,” Blatchey said. SunStar Davao tried reaching out to Reyes and Atillo for comments on Blatchey’s claims but they have not yet responded.